Since I had read more non-fiction than fiction at this point in my reading year, I decided to treat myself on our vacation with a fiction thriller. 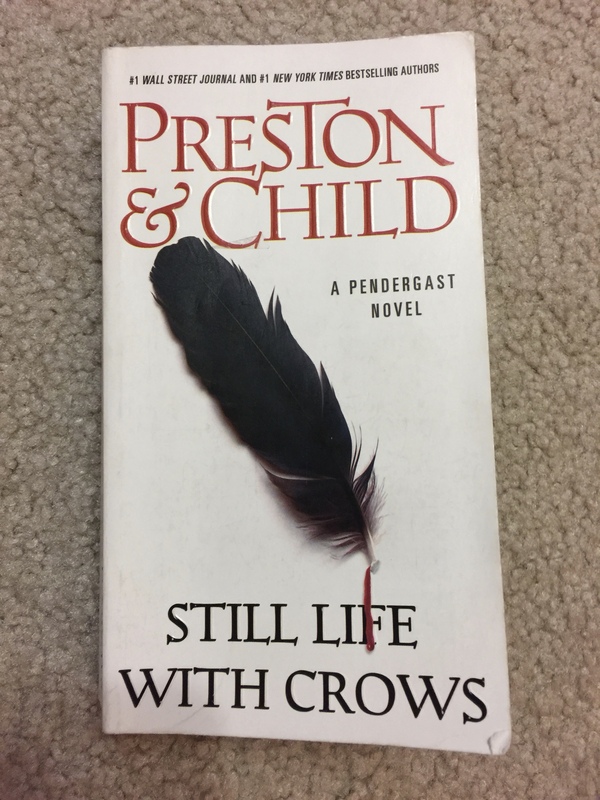 I chose the next book, Still Life with Crows, in this Special Agent Pendergast series written by Douglas Preston and Lincoln Child. In 2017, I read the first three books and was somewhat hooked on this character. I found this slightly used paperback on my trip to Portland and so got started. As in the previous books, Agent Pendergast suddenly shows up when a murder or other grisly site has just been discovered. Throughout this story, the true identity of the serial murderer is slowly revealed through a number of twists and turns. The climax continued almost the entire last quarter of the book and often I found my heart racing and my fingers rapidly flipping the pages to see what happened next. When it seemed all was revealed and the story was about to come to a satisfactory conclusion, an unexpected event on the very last page blew my mind and sent chills up my spine (even still as I type this) bringing an incredible end to the episode. I was hooked for good and planned to read more Pendergast novels! Over the last few years, I have read several books about movie stars and so when this book by Michael Munn showed up on my BookBub list for $1.99, I immediately snatched it up. 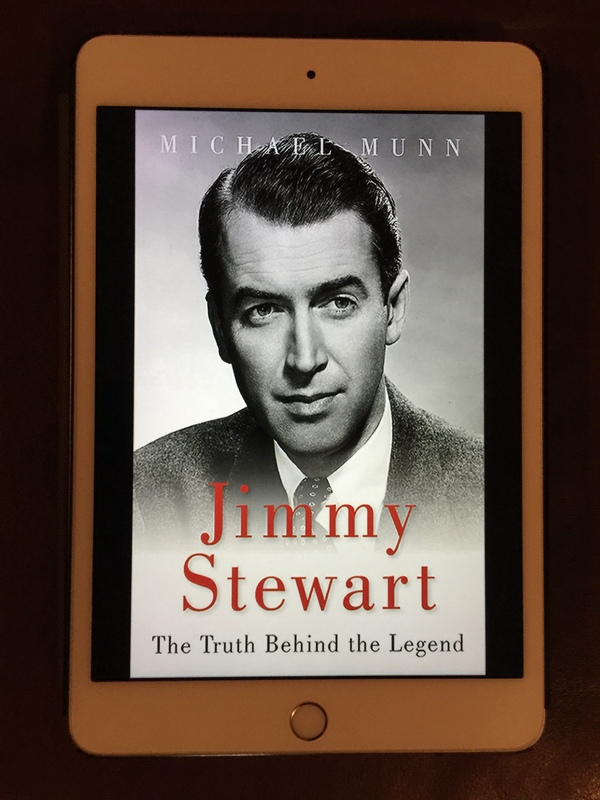 I had never heard of this author before but he interviewed many movie stars and so had a number of perspectives to share about James Stewart. For me like probably so many other people, Jimmy Stewart is revered for his role as George Bailey in It’s a Wonderful Life. What is surprising is that when this movie was first released in 1946, it was a flop and only became the classic that we know it as today through it being shown on television numerous times. Having enjoyed many of Stewart’s films such as Vertigo, Rear Window and The Man Who Knew Too Much, it was interesting to learn more of other movies he made during his lifetime, in particular Westerns, which I don’t think I had ever seen. Stewart was a devoted friend of Henry Fonda with whom they used to build balsa airplanes together, a love I shared with both of them. But also learning that he was an accomplished pilot prior to and during World War II was surprising. The author did a great job of providing interesting inside information about many of the movies he made while interweaving his personal life. As with any biography of this nature, it is always sad to read how the story ends. But it certainly prompted me to add a few more of his movies to my Netflix queue to gain an even better appreciation for the work he accomplished. And having read this book, I felt like I really knew the man much better than just having seen a few of his movies. 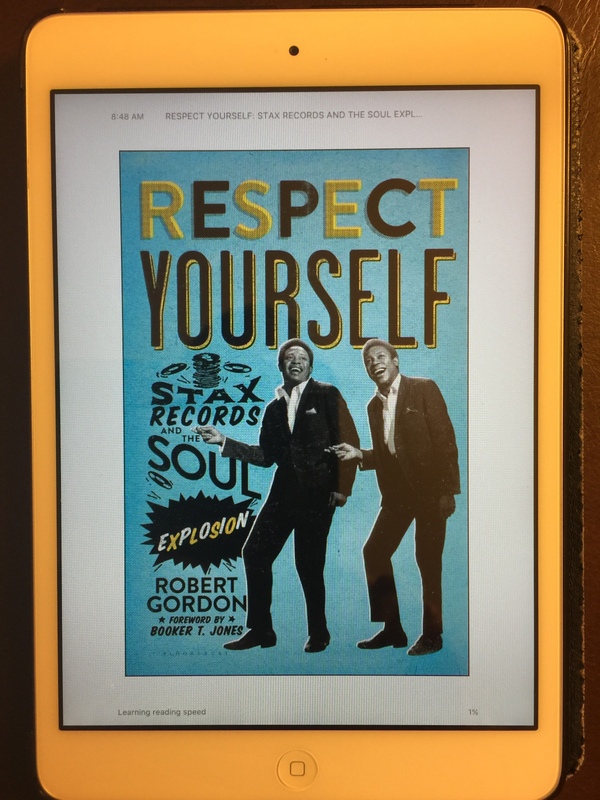 This book, Respect Yourself: STAX Records and the Soul Explosion by Robert Gordon is one that I have actually wanted to read ever since a visit to the STAX Museum with my siblings several years ago. Having lived in Memphis since 1970, I was familiar with the name STAX but knew very little about its demise in the early 1970s. At the time, I was in high school and just starting college and I don’t think I read the daily Memphis newspapers so missed what happened. The museum had an incredible amount of memorabilia and even after two visits there, I still did not know the whole story, thus my desire to read the book. 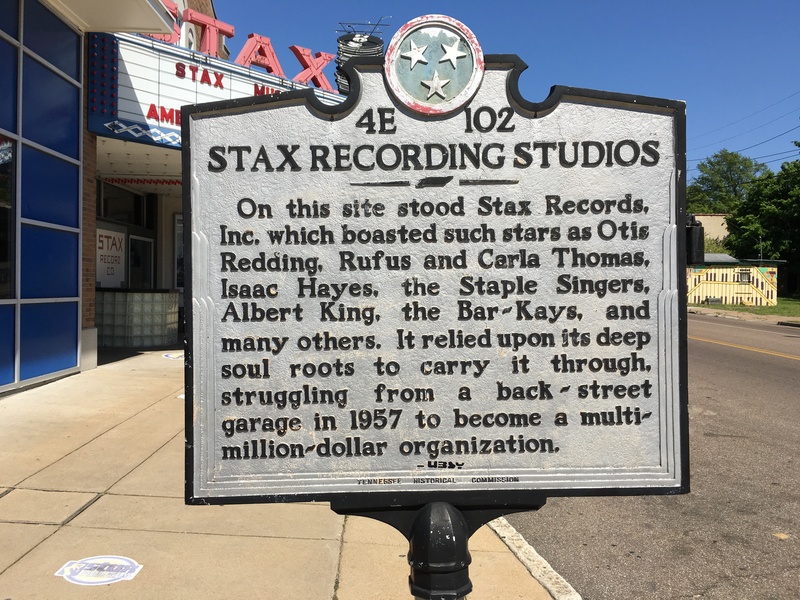 I had no idea what a huge impact STAX had on the recording industry or all the famous musicians who got their start there. Each time I would learn about another musician that I was not too familiar with and the songs they recorded, I would Google it to hear it and would find I actually knew the song very well. I just didn’t know the title or the musician and so their significance didn’t register for me at the museum. 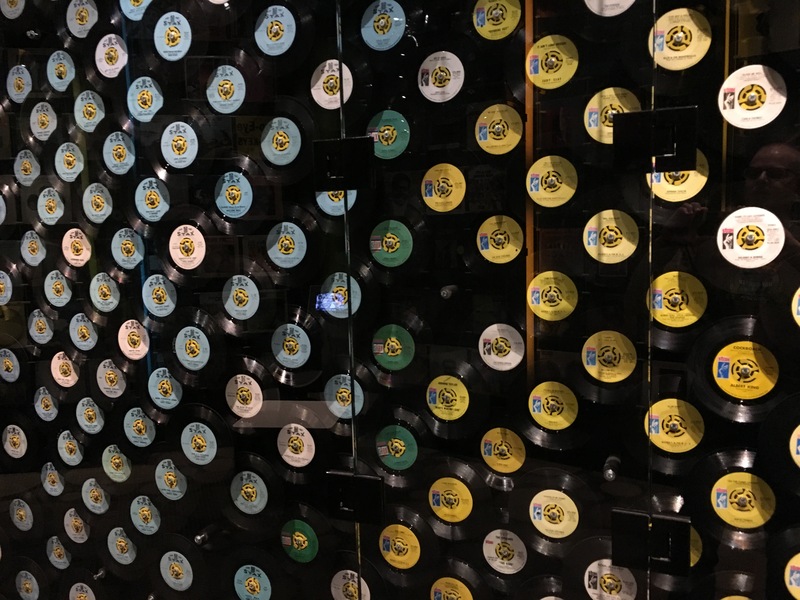 It was most fascinating to learn how well STAX grew over the years but what really captured my interest was how the studio was involved with many of the racial issues occurring in Memphis at the time. Knowing the company folded in the end, it was still sad to read the last few chapters of how their demise actually played out and the controversy surrounding who was ultimately responsible. But having read the book has made me want to return to the museum for another more thorough exploration of this amazing company. One of the books that I always thought would be interesting to read was a history of the pharmaceutical industry. In my lifetime and my 35 years working in the pharmaceutical industry, I have seen a lot of consolidation and disappearance of smaller but well-known brands that I thought would make an intriguing read. 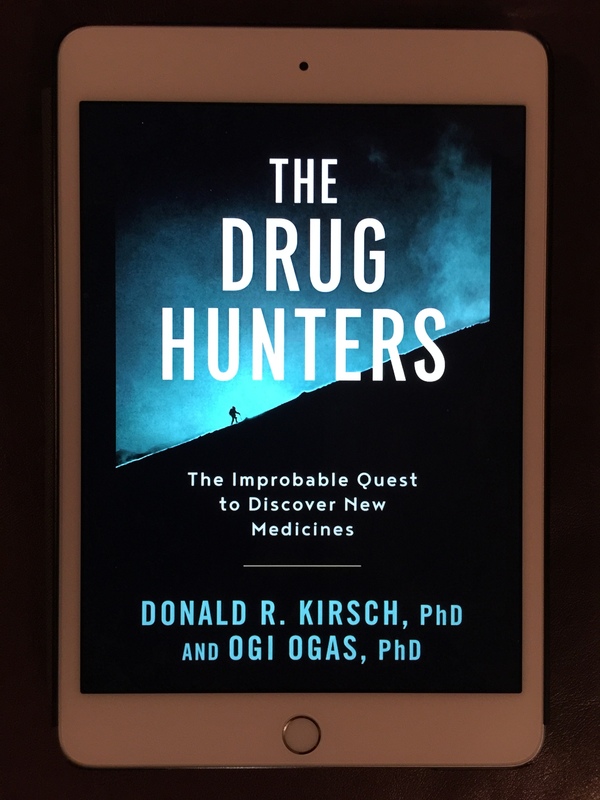 So when I saw The Drug Hunters: The Improbable Quest to Discover New Medicines by Donald R. Kirsch and Ogi Ogas pop up on my daily Bookbub list, I snapped it up. Although this book did not give me the in-depth accounting of the drug industry I was looking for, it was still a very enjoyable read in an almost Cliff Notes version. Rather than telling the story from the perspective of the drug companies, the book focused on the significant drug discoveries over time, with the scientists and companies overlaid, an approach I never considered before but one that made a lot of sense. In chronological order, the origins of where and how discoveries were made and the players and drug companies involved were presented. It confirmed what I knew that many drug discoveries were made through serendipity sometimes even while looking for a drug for treating a completely different malady. For anyone wanting to understand why drugs are so expensive, this book offers some valuable insights. For someone wanting to learn more about the development of many life-saving drugs we take on a daily basis, this book will deliver. For someone wanting to learn the incredible story of how “the Pill” was developed outside of drug companies, this book is for you. For me, it was nice after finishing the book to realize that I had worked for two of the six major pharmaceutical companies still in existence that made tremendous life-changing discoveries. Having devoured this book in short order as an appetizer, it has certainly whetted my palate for that main course book.